Home Punjab Sukhpal Khaira Has Given The Deadline To The State But Why? Sukhpal Khaira Has Given The Deadline To The State But Why? The AAP rebel group of MLAs, led by Sukhpal Khaira, has give the deadline of November 1 to the state unit for showing positive intent towards striking unity in the party. Meanwhile, the state unit of the AAP on Friday said it would not withdraw fresh appointments made by them and invited the Khaira group to send names for several remaining vacant posts. 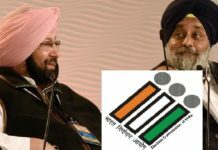 Kanwar Sandhu, head of the coordination committee of the rebel group, said the state unit of the AAP was violating the norms set for peace, “We had already decided that we will give time till November 1 for peace efforts, after which we will go ahead with the expansion of our own state unit,” he said. Sandhu added that no new date for talks between the coordination committees of both factions had been set. “It is up to them to set the date but they should cancel the appointments made recently in violation of the peace talks,” he said. Harpal Cheema, AAP Leader of Opposition stated that he was open to peace. 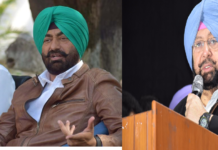 He has even asked Khaira to contest Lok Sabha elections from a place of his choice, “We are open to the selection of candidates for the Lok Sabha polls and for various posts in the state unit. The Khaira group can send names and join the discussions. If he wants to contest parliamentary polls, it will be good as he can raise issues of Punjab at the national level,” Cheema said. 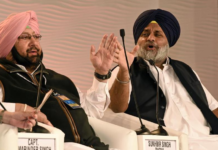 The peace move between the two factions had hit a roadblock after the Khaira group objected to recent appointments made by the AAP for the state unit. Sukhpal Khaira had stated that this amounted to double standards as one side the state AAP was claiming peace and unity and on the other hand they were making appointments on their own instead of waiting for the result of meeting of the coordination committees of the two factions.